I’m distracting myself from the nail-biting anticipation of today, November 6’s, election results, with a post (almost) completely unrelated to politics. I hope it distracts you, too. We have a 17-year-old customer—we’ll call him Nicholas—who is obsessed with orchids. Apparently, his mom recently found a family video from when Nick was three which showed him, arms spread wide, proclaiming, “I LOVE ORCHIDS!” Now, Nick has blossomed (pardon me) into quite an orchid expert. His parents, avid hikers, can only get Nick to join them if there’s a chance to spot orchids in the wild. This precocious autodidact receives several emails a day from people in the Northeast looking for his assistance identifying rare specimens. Interestingly, Nick hasn’t read Susan Orlean’s The Orchid Thief, a book I listened to and loved several years ago. “The wrong orchid is on the cover,” he said, proving once again that many readers pay attention to accuracy gaps between interior content and cover design. “I’m also not interested in theft as subject matter,” he said. “Also, who needs another book about love and betrayal?” I sort of love that the Northeast’s top expert on orchids hasn’t read the ONLY BOOK ON ORCHIDS that the general public has ever heard of (which may be part of why he didn’t bother, but honestly, it’s a terrific book and a gripping audiobook, so I hope he does dip in at some point). Anyhow, Nick and his mom—we’ll call her Alison—were in the store the other day scouting for some non-orchid-related books to take on Thanksgiving vacation, and we compared recent favorite reads. 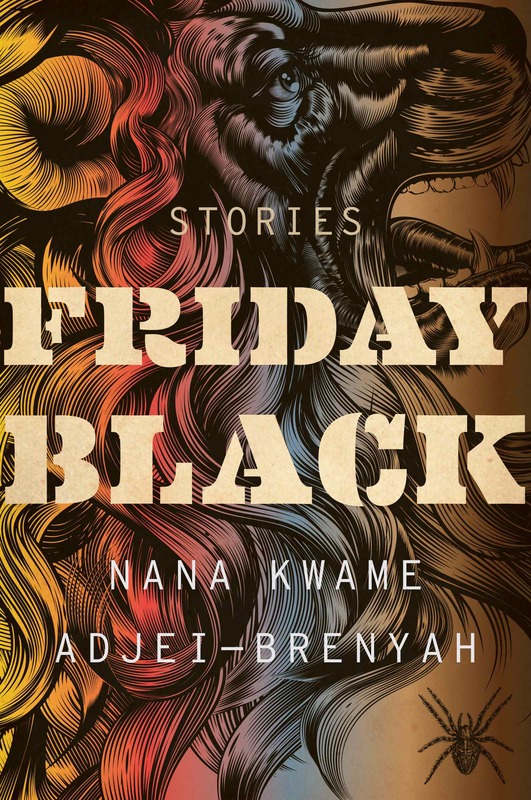 I was telling Alison about the book I think is the adult book of the year, Nana Kwame Adjei-Brenyah’s Friday Black. It’s harrowing and brilliant and darkly funny and piercingly observant, a fierce satirical look at race and consumer culture in our country. It’s also stylistically the most exciting writing I’ve come across in a long time; Adjei-Brenyah’s voice is original, versatile, fresh and distinctive. As painful and harsh as the stories can be, they also have grace, hope, and compassion, and are both finely crafted and a raw howl of a response to the turbulence of our troubled world. It’s rare to find that combination, and it makes for a powerful brew. I suspect the first story, “The Finkelstein 5,” will be taught in university classes for years to come. 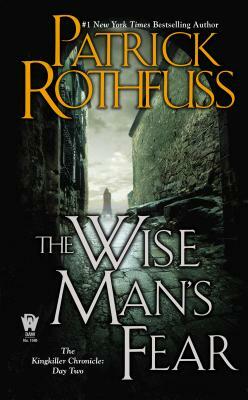 Alison’s choice was a copy of Patrick Rothfuss’s The Wise Man’s Fear, book two of an unfinished trilogy (which ShelfTalker’s own Kenny Brechner has so amusingly blogged about here). We chatted about the upcoming Lin-Manuel Miranda adaptation of the books, and I confessed that I had loved The Name of the Wind, the first book in the trilogy, but hadn’t yet read The Wise Man’s Fear. Nicholas was aghast. “You,” he said, “are going to read it this week, and then we’re going to talk about it.” I hesitated only a second, because even though my stack of unread ARCs could serve as a veritable staircase from my fourth-floor apartment to the basement of the building, you don’t refuse a book challenge from a young customer, especially not from the Northeast’s foremost orchid expert. “Okay,” I said. “And you are going to read Friday Black this week, and we will talk about that!” “Okay,” he said, and swept out the door with purpose. And that, my friends, is how an impromptu book group is born. I’ll pop by the Comments next week and let you know how our first discussion goes. And now if you’ll excuse me, I have some reading to do. This entry was posted in Uncategorized on November 6, 2018 by Elizabeth Bluemle. I ❤️ This!! I love Rothfuss (I haven’t read this one yet) and I love Nana’s Friday Black. I hope you can report some on the next meeting of your inpromptu book club! !